Graylingwell Chapel is a beautiful chapel that is Grade II listed and in desperate need of repair. This year Graylingwell Chapel will become one of the community buildings that Chichester Community Development Trust looks after on behalf of the community. CCDT, with its partners, will redevelop, refurbish and rejuvenate Graylingwell Chapel into a warm, inviting, multi-purpose space that will serve the community both at Graylingwell Park and Chichester for decades to come. This presents a rare opportunity to develop a new vision for Graylingwell Chapel; one that builds on the chapel’s character and heritage, fulfils the needs of the community and secures the chapel’s future. 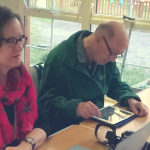 Chichester Community Development Trust received £10,000 from the Heritage Lottery Fund which marked the start of this exciting project. With the funds, CCDT has established a chapel steering group to take this project forward, has given training to staff, volunteers and board in the management of a heritage, has run public consultation events, is visiting similar projects in order to learn from them, will develop a management and maintenance plan for the chapel. Chichester Community Development Trust received £14,800 from the Architectural Heritage Fund (AHF) to develop the plans for Graylingwell Chapel. The grant is funding a project organiser and an architect to develop the ideas that have come out of the chapel consultations. 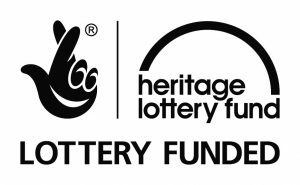 So far, with grants from Heritage Lottery Fund and Architectural Heritage Fund, we have consulted the local community and potential partners, hired an architect and project organiser and we are heading towards a big application for funds of £1 million +.